Trying the thermal baths in Budapest should be in everyone's to-do list while visiting the city. As you might recall from this post from a couple of years ago, we were positively surprised by the thermal baths in Budapest, we thought the experience was going to be difficult and probably meh, but we found ourselves back home still thinking about how nice it was so as soon as we booked our tickets to go back to the city for some days, my research about the baths began. We remembered our first visit to the baths was in December and it was so cold so this time it was funny to see how different the experience was, for example Széchenyi Baths were having parties in the weekend evenings that looked fun. 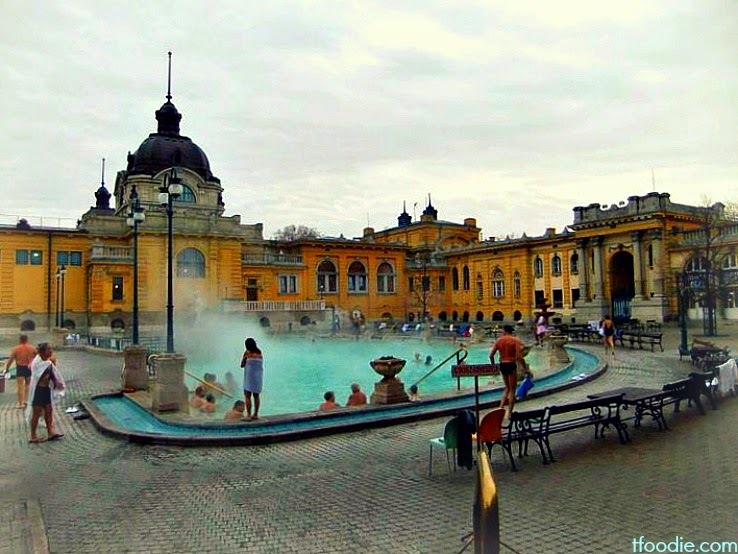 There are many public baths in town since Budapest is rich in thermal springs that have also healing properties. 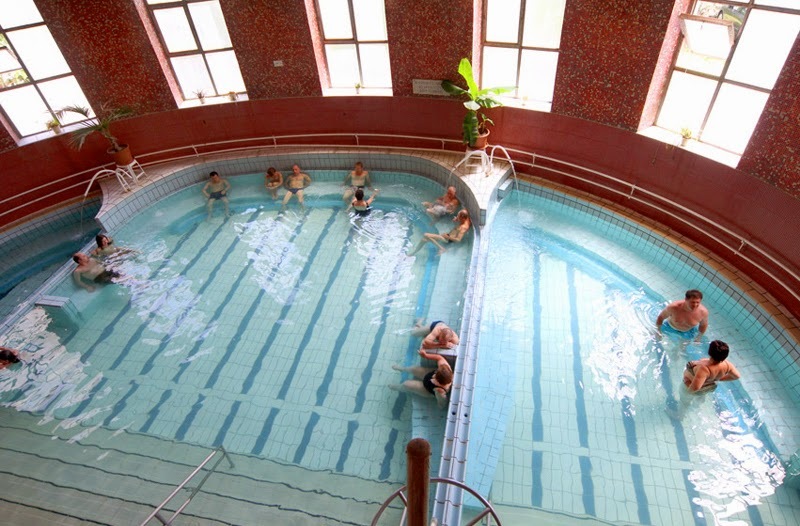 Since there are these many public baths, I've always thought that those who go to the spa resort in Margitsziget (Margaret Island) are missing out all the fun of experiencing the historic baths in town, also because you can stay in any hotel in the city center and visit a couple of baths during your stay without compromising the location of your hotel) Margaret island is not in the city center and there's little dining/nightlife/culture activities, especially if it's your first visit. Historic baths include: Rudas Baths (turkish style baths), Széchenyi Baths, Gellert Baths, Király Baths, Lukács Baths, Császár Baths. All of them were built before 1918 but have been restored to offer modern baths' services. For a complete list of Budapest spas, their services, info and prices visit http://www.spasbudapest.com/ . Services at most baths include thermal pools, massages, lockers or cabins to leave your belongings (no valuables are advised to be brought to the baths, better leave them at your hotel), saunas, steam baths, beauty and spa treatments, etc. Some baths are men only (like Király) and others have women-only or men-only days. Most baths are open to both sexes during the weekend - be sure you check in advance. Pricing is almost the same in all baths (Gellert is slightly more expensive, Kiraly and Rudas less), entrances are around 4000 HUF, massages also, depending on the style or duration. If you book a massage, you will be told at the entrance where to go when it's time for it, try to be there 10 minutes before the massage time, then show your swatch to the masseurs, they'll scan it and tell you which massage cabin you should go to. 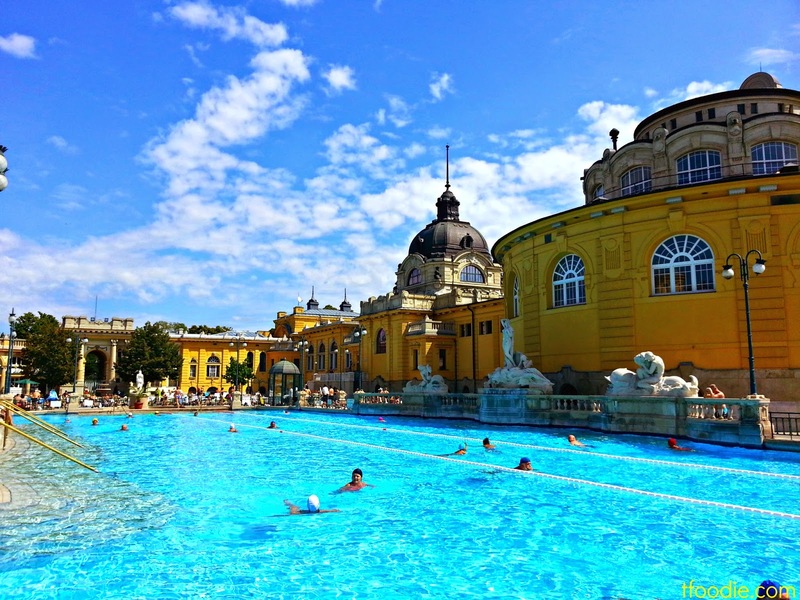 Szechenyi is the largest public bath in town (and one of the largest in Europe). It has 3 big outdoor pools and about 15 others inside with temperatures varying from 20°C to 40°C, saunas, steam baths (also with aromatherapy) and lots of massage cabins. It is not difficult to schedule a massage on the day of your visit, but if you need a speacial kind of massage and a special time it has to be done then you can book online. During the summer they have evening parties on weekends. We visited these baths on both summer and winter and we found them great in both seasons. During the winter you get to try the sensation of the super cold weather (-5°C) and then jump in the outdoor pool with a hot 38°C temperature. But then in the summer you get to sunbathe and still enjoy the hot pool. Rudas is our other favorite bath. 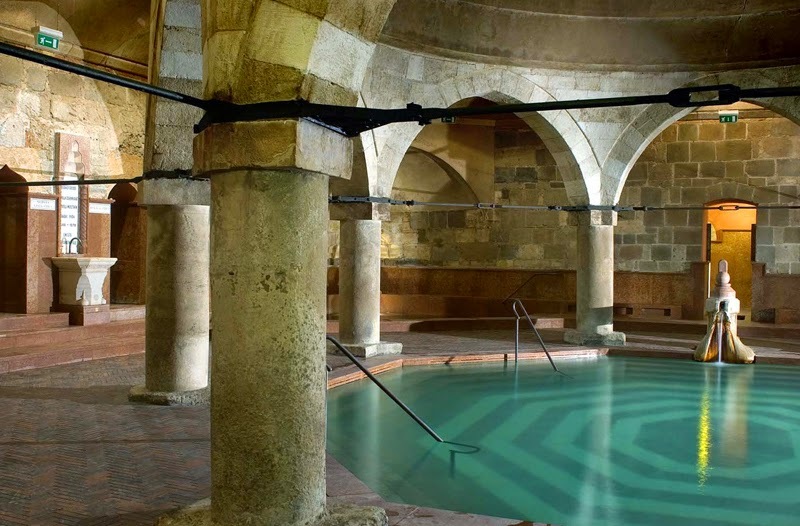 It is a Turkish-style bathhouse and it was built in the 1560s during the time of the Ottoman occupation. It is one of the oldest and most beautiful baths in Budapest. It has an octagonal pool under a dome, characteristic of the Ottoman baths structure. Around the octagonal pool there are other smaller ones with different temperatures between 16°C and 42°C. It used to be for men only but now it's open to both sexes on weekends (plus, Tuesdays are women-only days). Last time we went there we tried it on a weekend morning and it was a bit crowded but we were still able to book a massage for the same day; this time we tried the evening bathing experience on a Saturday night. We arrived at about midnight and while we were able to get a cabin (after a 10-minute wait) there were no massages available until 3 am, so if you really want to get a massage here, try to buy the tickets in advance and book the massage while doing it (we remember we loved the massages here). What do people do in the baths? Immerse in the thermal waters and enjoy the differnt pools' temperatures (so good for blood circulation), use the saunas, the steam baths, get a massage, a mud treatment or simply relax in one of the loungers. We normally stay about 3 hours at the baths and find it an excellent way to spend time and relax, it can also be taken as a cultural visit because most baths are historic structures and also many locals use them too (just don't take pictures directly at them). Be sure you visit at least one bath during your stay, you won't regret it!